LOCAL TRADE!! 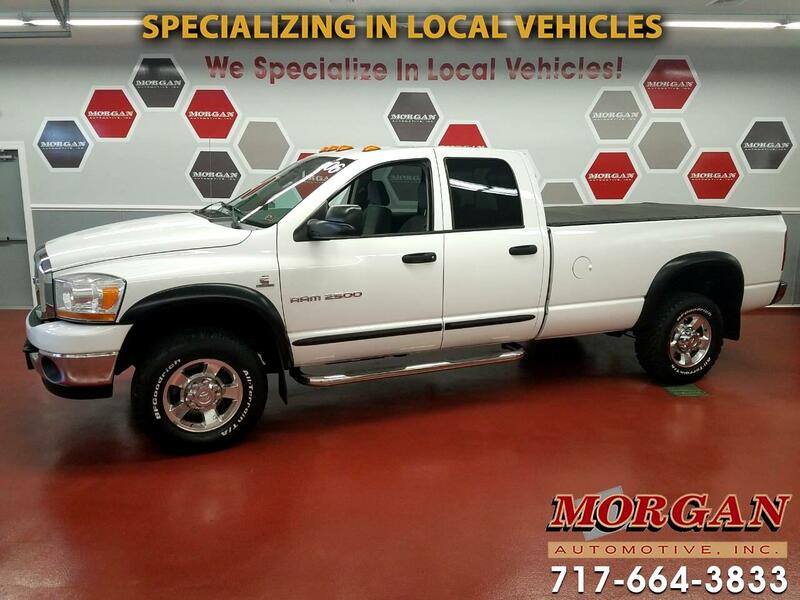 ****VERY NICE CONDITION 2006 DODGE RAM 2500 SLT DOUBLE CAB 4X4 LONG BED WITH THUNDER ROAD PACKAGE****CLEAN CARFAX****CUMMINS TURBO DIESEL ENGINE! ****6-SPEED MANUAL TRANSMISSION****This awesome truck is in great shape inside and out. It comes with full power equipment, remote keyless entry, trailer tow package with Class IV hitch and 7-pin wiring harness connector, trailer brake controller, tow mirrors, transfer case skid plate shield, anti-spin differential rear axle, rear sliding window, engine block heater, clearance lamps, AM/FM/CD/SXM radio, fixed running boards and tonneau cover. Runs and drives great, has just been through our Morgan Automotive certification passing a 110 point check, fresh oil, and brakes are like new. Comes with a 1 month/1,000 mile powertrain warranty with options to extend it for added piece of mind. Financing is available, if interested please contact one of our commission free sales team members.